Sunday Coupon Preview: 4 inserts coming! You are here: Home / coupons / Sunday Coupon Preview: 4 inserts coming! If you were disappointed last week because your paper had no inserts, they’re making up for it this week! This week, there will be FOUR inserts in the paper: one General Mills insert, one Red Plum insert, and two Smartsource inserts! 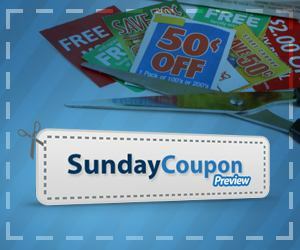 Sunday Coupon Preview gives you the “scoop” on what coupons will be in the inserts so you can decide what coupons you want to stock up on! You can buy multiple Sunday papers, buy from a coupon clipping service, or dumpster dive (that last option is definitely NOT for me!) 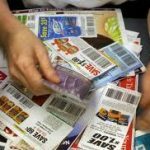 For information on reputable coupon clipping services, check out this post here. $3/1 Candyland, Chutes & Ladders, Cootie & Memory – watch for sales and stock up for gifts! What coupons will you be stocking up on this week? How do you get extra coupons when there are hot ones you want? Is anyone noticing a trend with coupons? It seems like the dollaramounts are getting lower or you’re having to buy more items to use the coupon. Once again, I blame Extreme Couponing! NOTE: Please keep in mind that the dollar amounts on your coupons or the coupons in general may vary by area. Also, not all newspapers carry all inserts. You may want to check first before buying multiple newspapers! Sunday Coupon Preview: 3 inserts coming! Sunday Coupon Preview: 3 inserts coming this week! 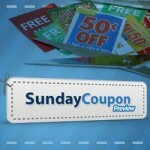 Sunday Coupon Preview for the week of 7/24! Sunday Coupon Preview: 2 inserts coming in the 4/15 paper! 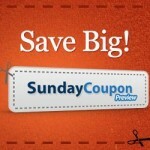 Sunday Coupon Preview: Smartsource insert coming!